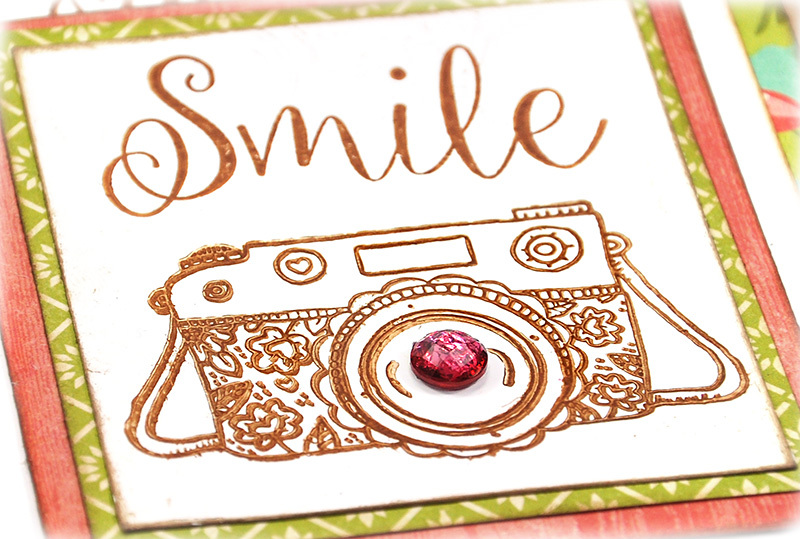 Having more fun with the new stamp set from JustRite Papercraft - Multi Step Three Way Rose Clear Stamp . 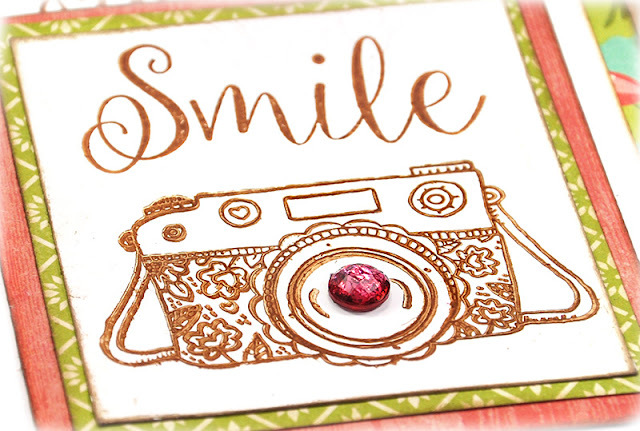 I'm finding this to be such a versatile stamp set. 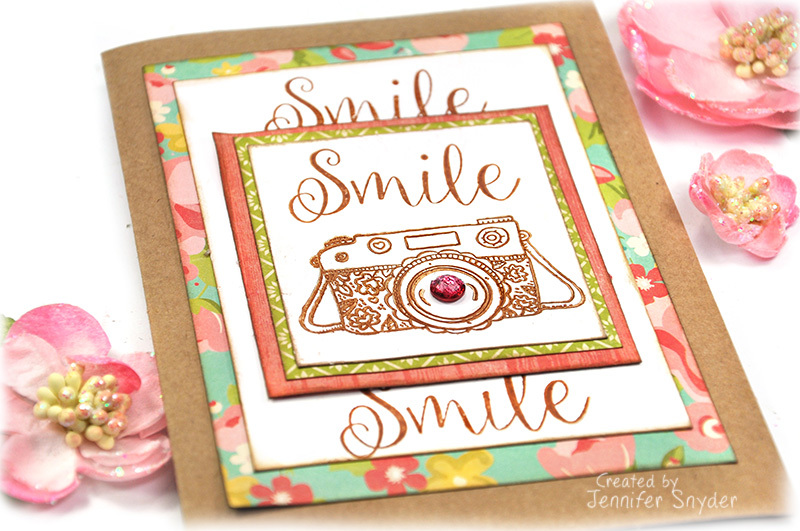 I also grabbed a wonderful sentiment from the JustRite Papercraft - Geranium Heart Song Clear Stamp. It's featured in the photo below so you can see the variety of sentiments that cover so many situations. 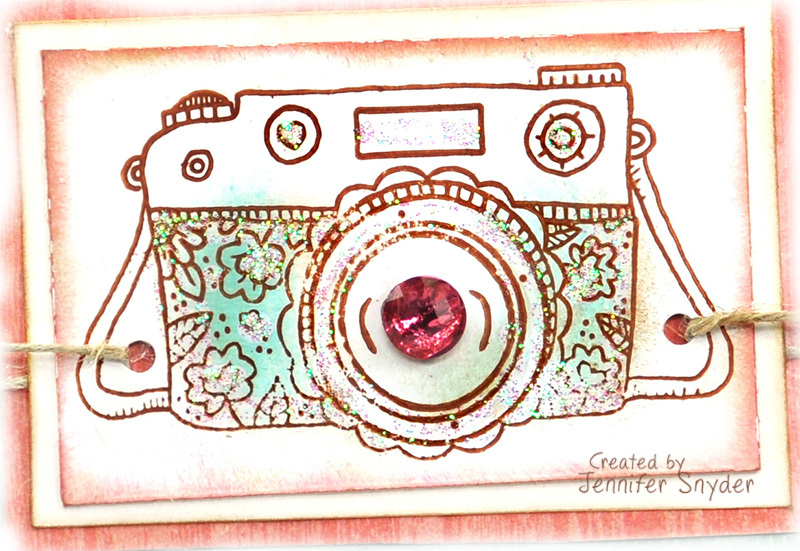 As I mentioned, I am having so much fun figuring out different ways to use the Multi Step Three Way Rose Clear Stamp. 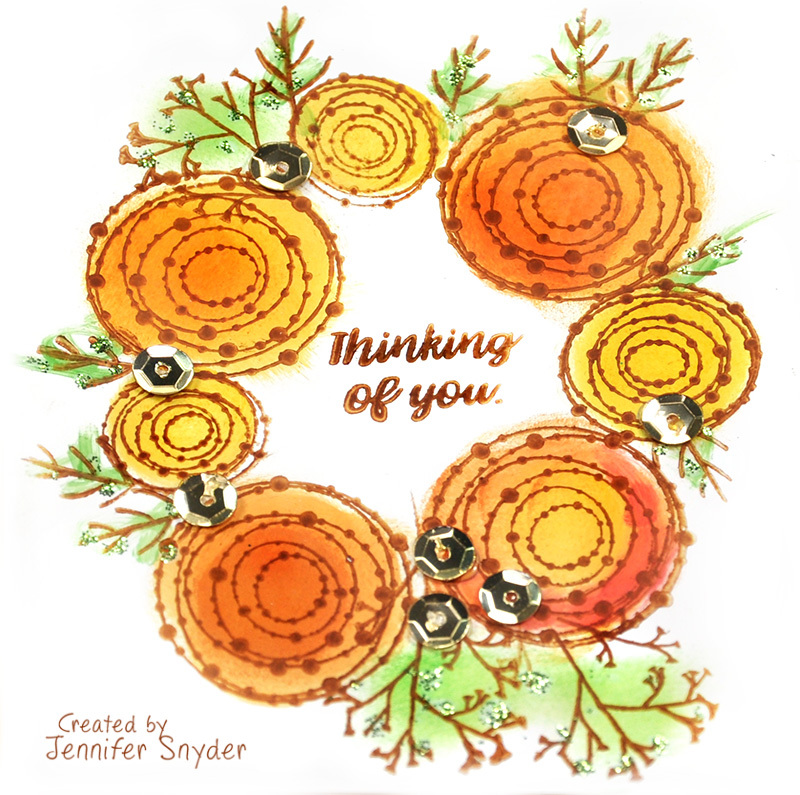 First is a simple holiday wreath. This is perfect for any season. You can see the original post on my blog here. 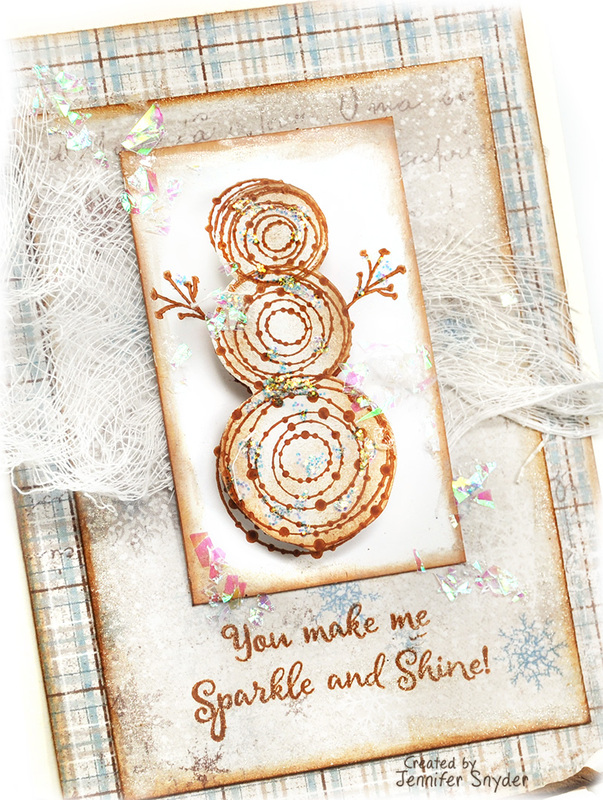 Next, I stamped up a fun snowman. You can see that post right here. 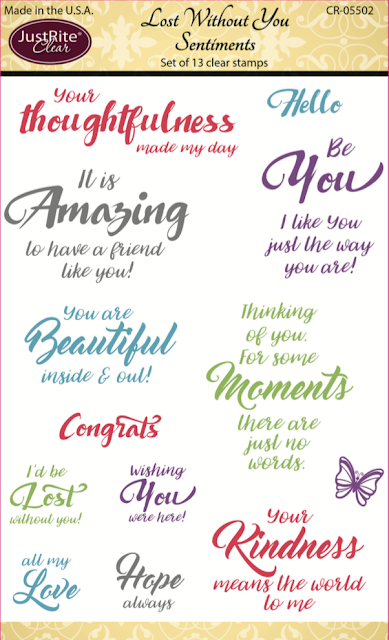 So let's go back to the card design for today's post. 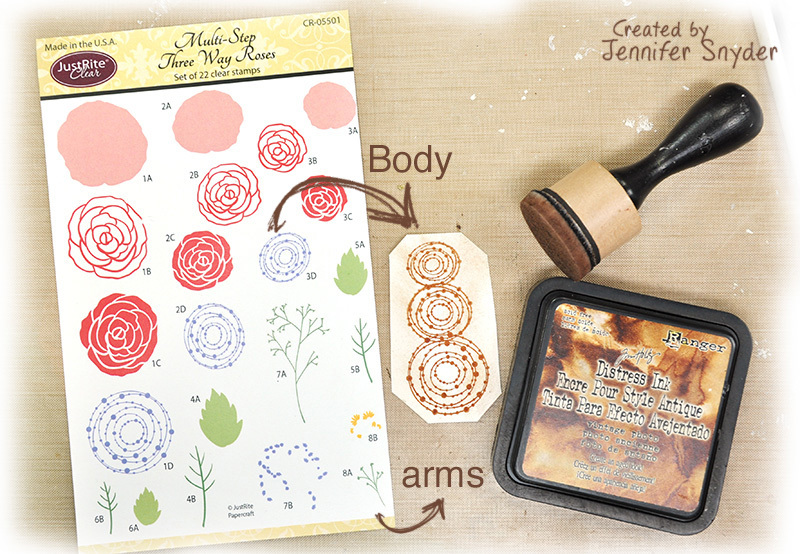 I stamped my design onto Specialty Stamping Paper for Inks . 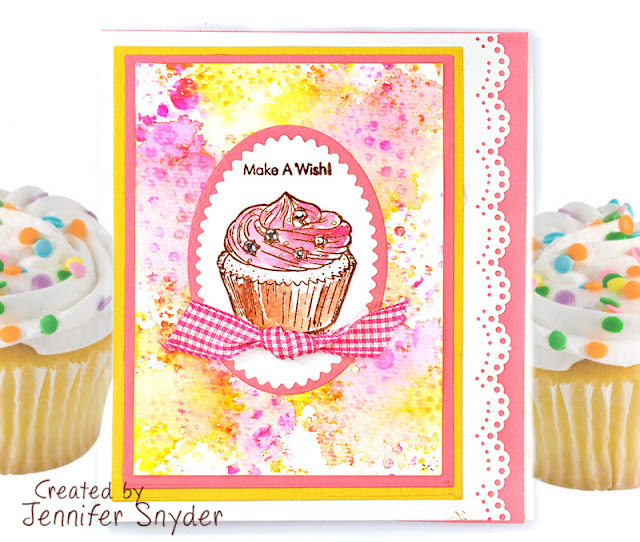 I find this specialty paper has a smooth slick finish which is perfect for Distress Inks. I like to use those small finger sponge daubers to help me isolate the Distress inks when I color. The greens were painted with some watercolor paints and a Watercolor Brush. 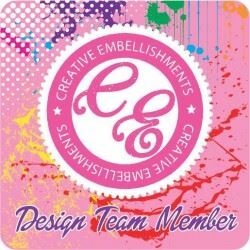 After adding some inexpensive floral berries from a craft store, I dabbed the branches and roses with Stickles Glitter Glue in Diamond and Stickles Glitter Glue - Lime Green . The effect looks so much more impressive in person, trust me. It's a bit of sparkle without being over the top like glitter can be sometimes. You can shop for all your JustRite Stamps and dies right here. 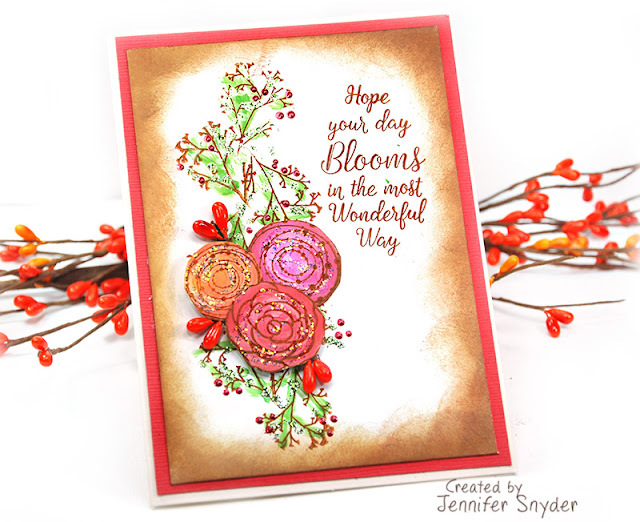 I am really enjoying JustRite Papercraft's new Multi Step Three Way Rose Stamp. 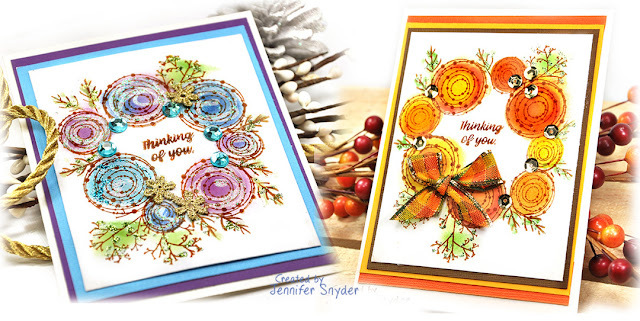 I love it so much that I made the same card and experimented with color - for winter and Autumn. 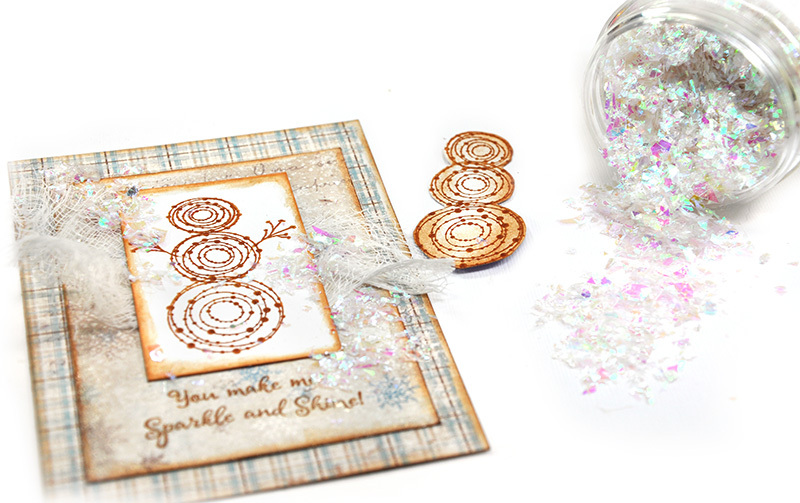 I also used this cool stamp set to make a snowman. You can find this post right here. First is the autumn card - with bold oranges and yellows. I stamped my wreath onto Specialty Stamping Paper for Inks . I find this specialty paper has a smooth slick finish which is perfect for Distress Inks. I like to use those small finger sponge daubers to help me isolate the Distress inks when I color. 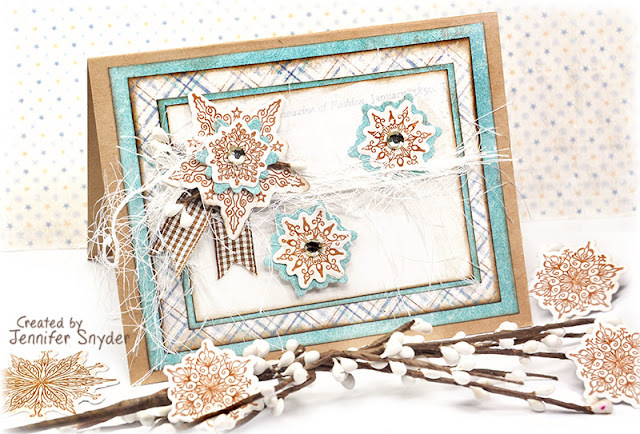 And here is the same card without the ribbon - for easy flat mailing. 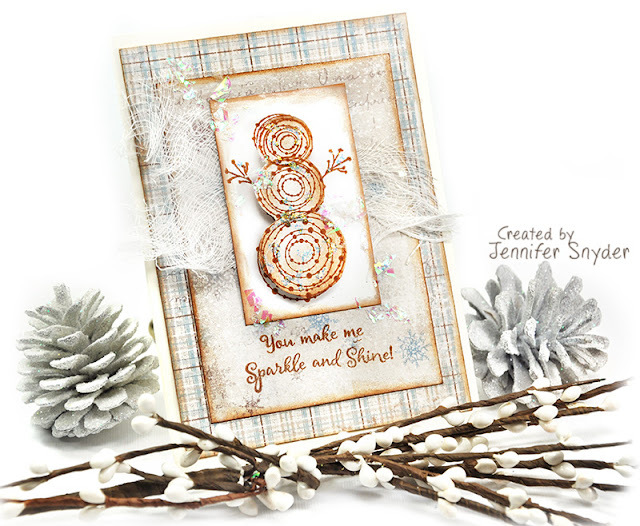 Next card is in festive winter purple and blue. After adding a few aqua gemstones, I bedazzled a bit more with Stickles Glitter Glue in Diamond. The effect looks so much more impressive in person, trust me. 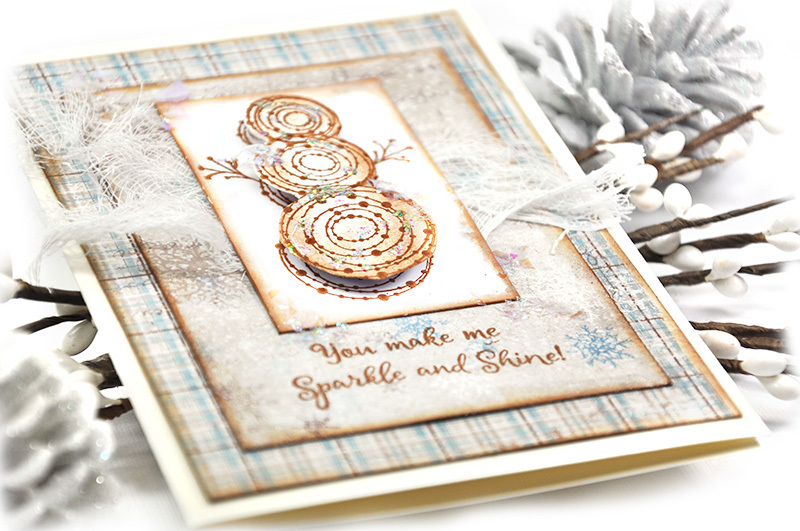 It's a bit of sparkle without being over the top like glitter can be sometimes. Thanks for stopping by. 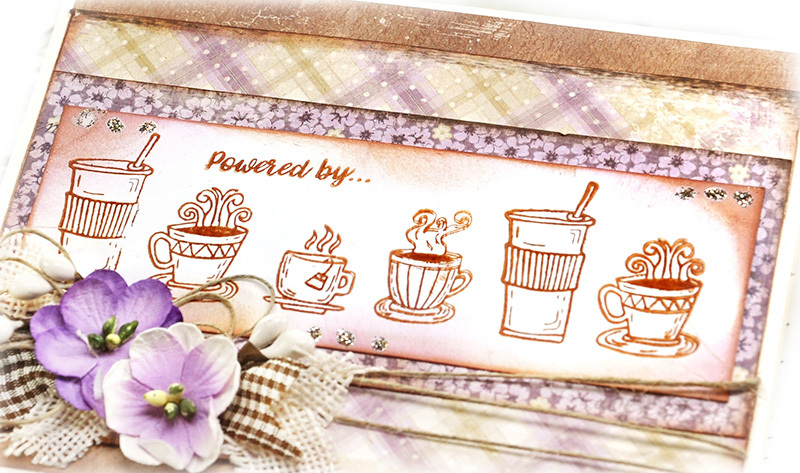 You can shop for all your JustRite Stamps and dies right here. Is it really possible to turn a Rose stamp set into a wonderful snowman? Absolutely possible with JustRite Papercraft's new Multi Step Three Way Rose Stamp. These are the coolest snowmen I've ever made without being made from snow. Actually I prefer the kind made from paper because then I know I only had to stamp, cut and glue instead of shovel, bundle and freeze. I've provided a quick look at how I made my snowman using the dotted circle stamps as his body and the branches as his arms. 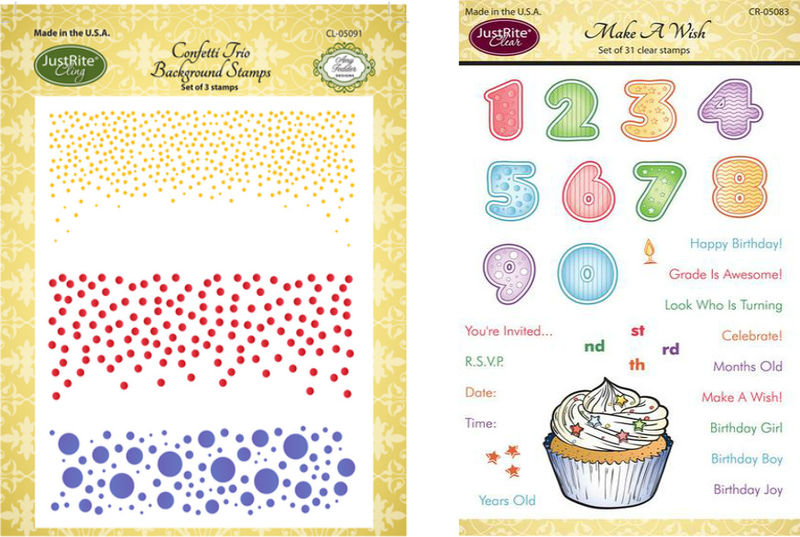 JustRite Confetti Trio Background Stamps for the dotted blue background. 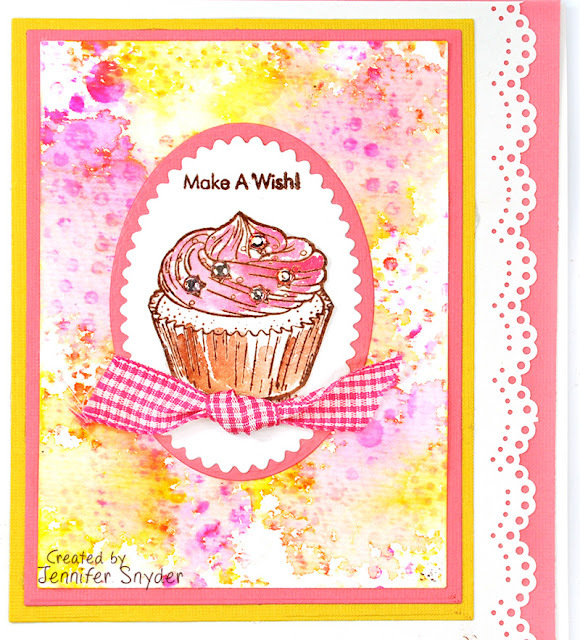 My "secret sauce" on this card is the eyelash yarn I used for a cool effect. OK I have to admit this came from my stash and is a few years old. It dates back to when everyone was making trendy scarves from eyelash yarn. Next up, my second snowman - slightly different. 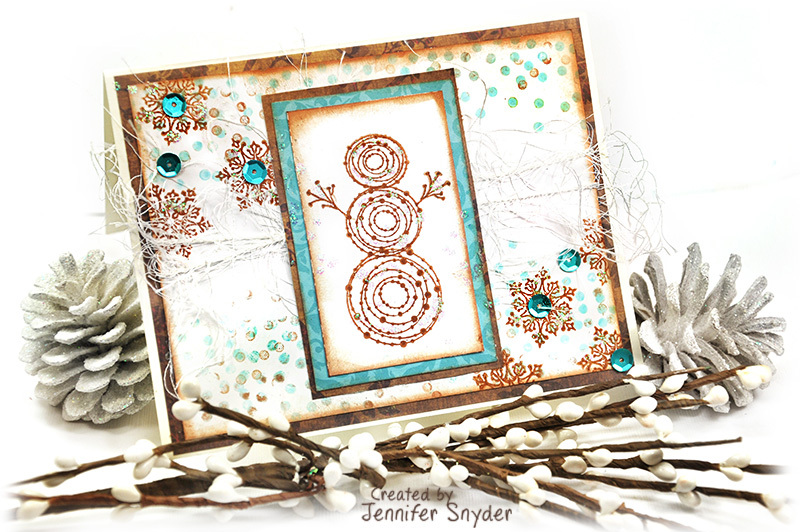 Made using Maja Design papers from Sweden, they are the perfect snowman colors. 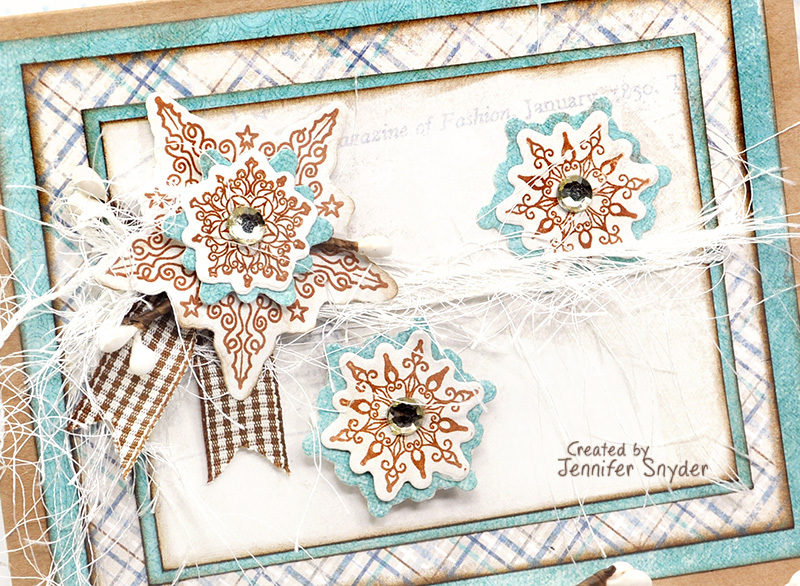 Maja Design - It's Winter Collection -"It's Snowing"
(You can grab your Maja Design papers from Frantic Stamper - here). 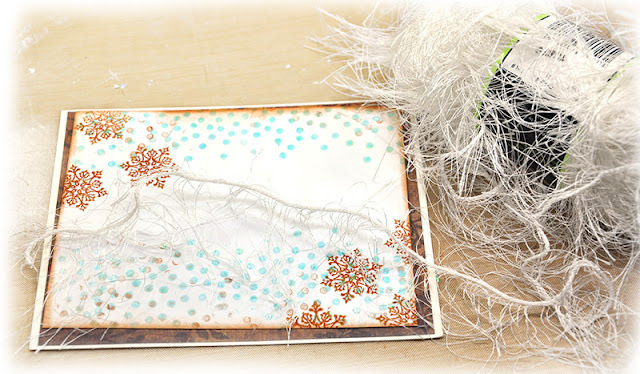 No eyelash yarn trim, but instead I used cheesecloth and some "shaved ice" -Stampendous Frantage Shaved Ice. As you can see below, I layered him. I stamped a layer of circles plus his arms, then decided I needed some dimension. I cut an additional snowman out and popped him up with pop dots adhesives. This collection is Fika or "Ske vi ta en Fika collection ( Fika) . Per Wikipedia: Fika is considered a social institution in Sweden; it means having a break, most often a coffee break, with one's colleagues, friends, date or family. The word fika can be used as both verb and a noun. 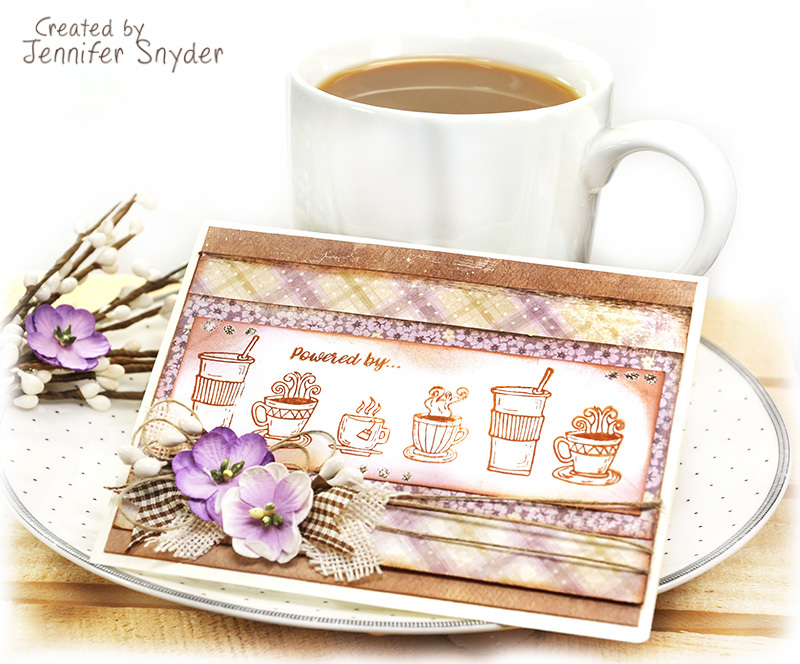 I created two cards with this collection and coffee/tea theme. But I really need to take a moment to chat about the fun stamp sets I used from JustRite Papercraft. 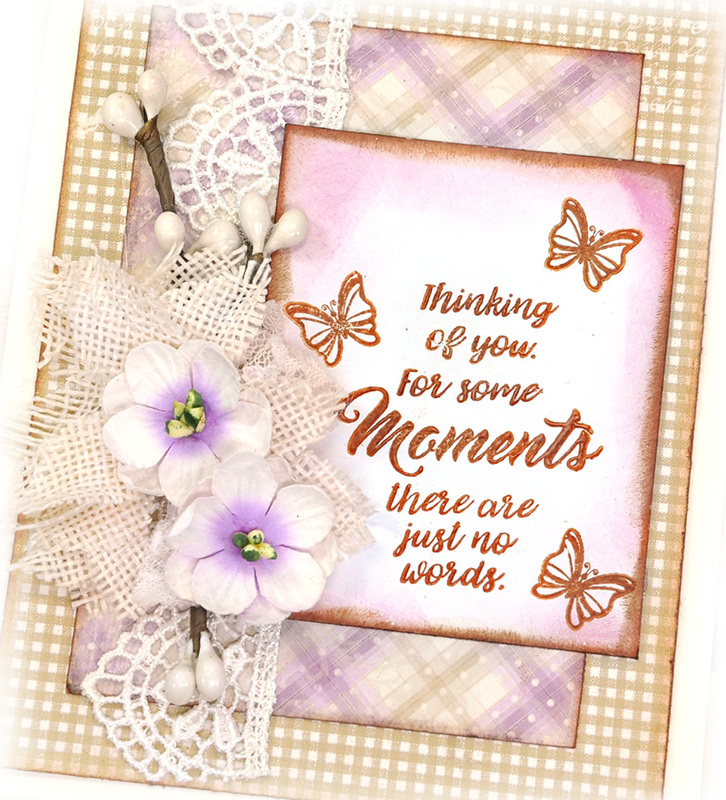 My first card used a clear sentiment set from JustRite called "Lost Without You" . 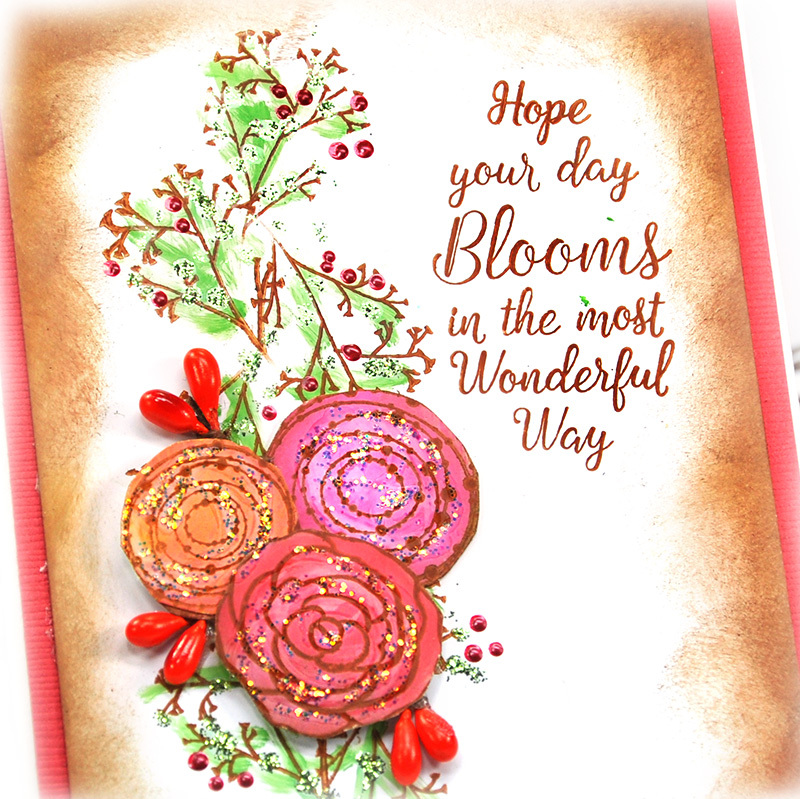 I embellished the cards with flowers by Petaloo by Floracraft.. 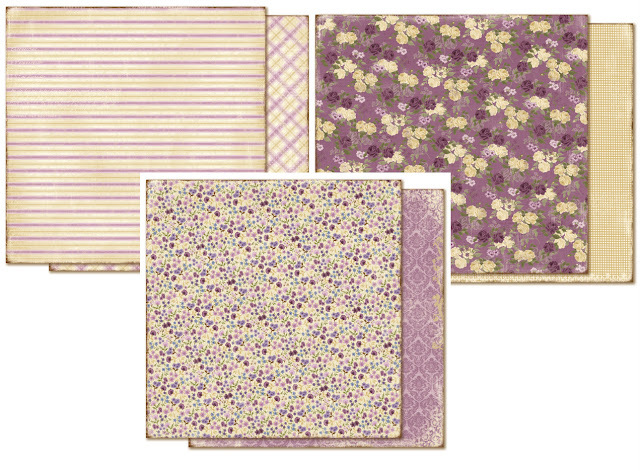 They are gorgeous little Forget-me-nots form the Penny Lane collection. The Petaloo flowers also match the papers perfectly. 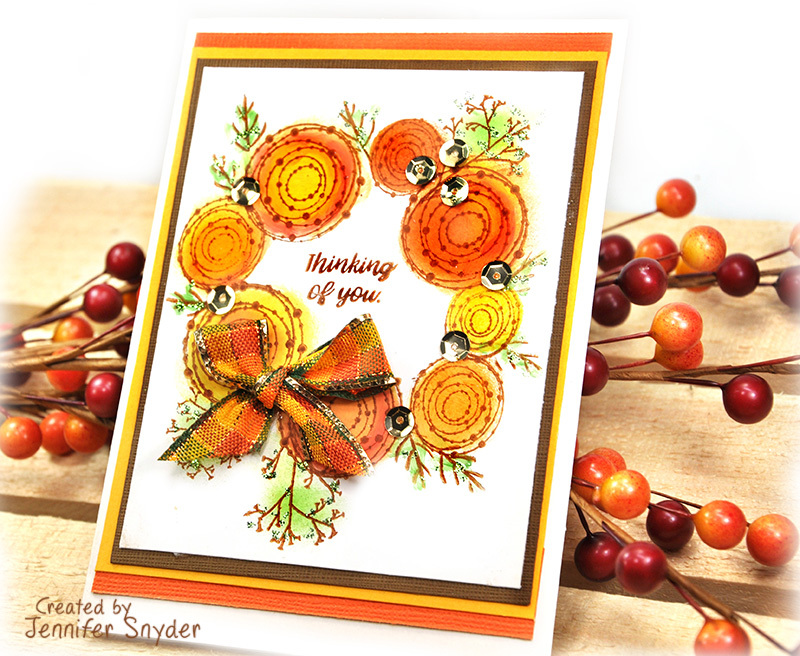 This card was crafted using the JustRite Papercraft - Just a Full Cup Clear Stamp Set - CR-05112. It has the most darling little mug stamps with perfect sentiments. Here is a closer view of the stamps. I do have to smile at the sentiment I chose. Oh my gosh, how true is this for so many of us? 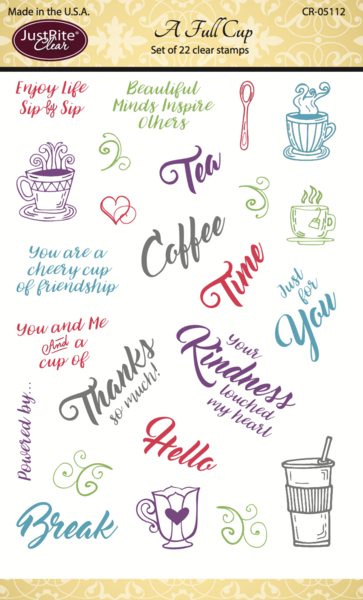 Thank you for joining me today for a spot of coffee. 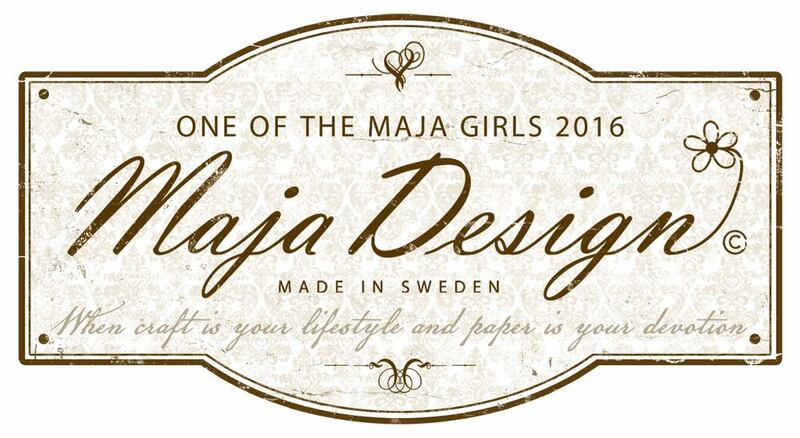 You can shop for Maja Design paper collections here. 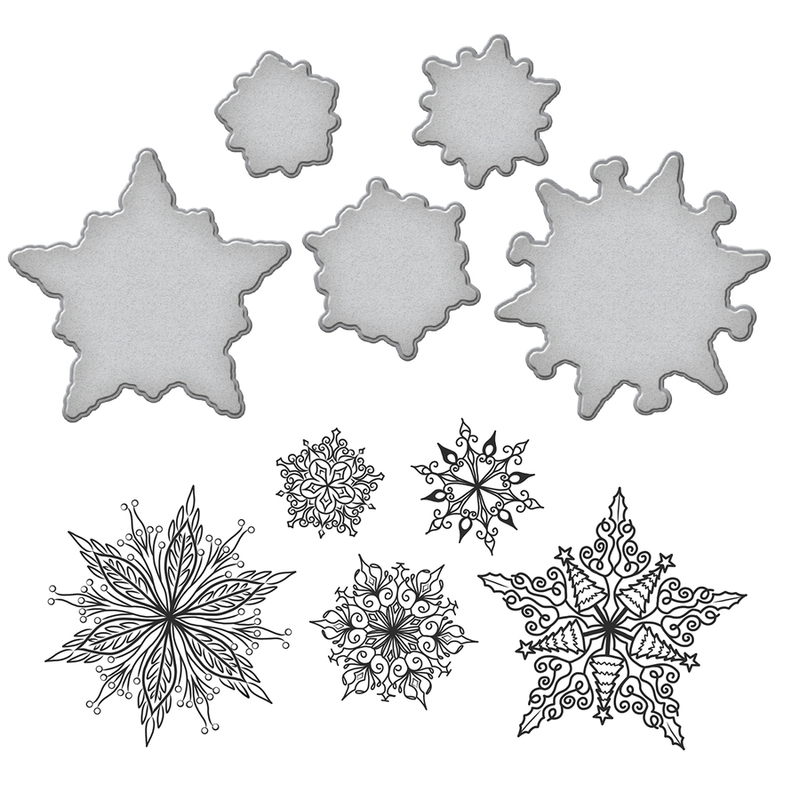 You can shop for JustRite Papercraft Stamps and Dies here. 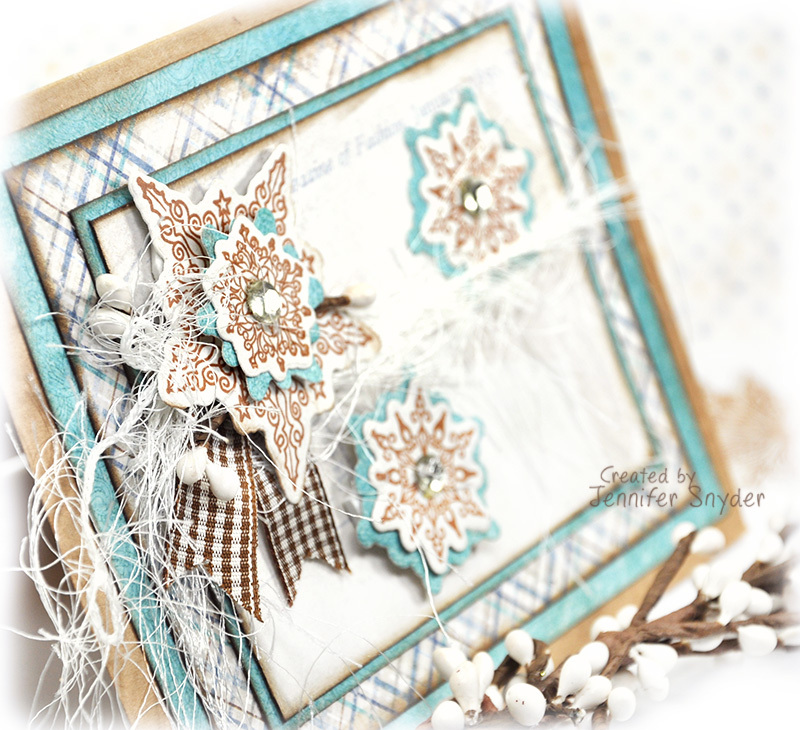 JustRite Papercraft Clear Stamp - "Lost Without You" - CR-05502. I've never met a cupcake I didn't like. 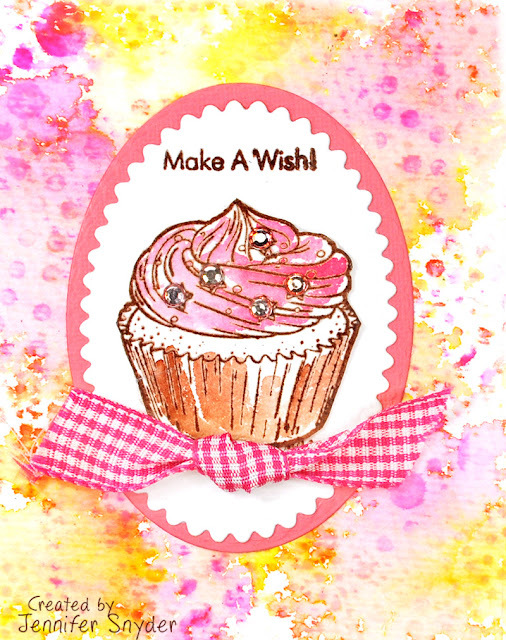 Cupcake stamps, dies, cards, backed goods...all fall under my yummy category. I baked up this Cupcake Card using my fun dies and stamps from JustRite Papercrafts. 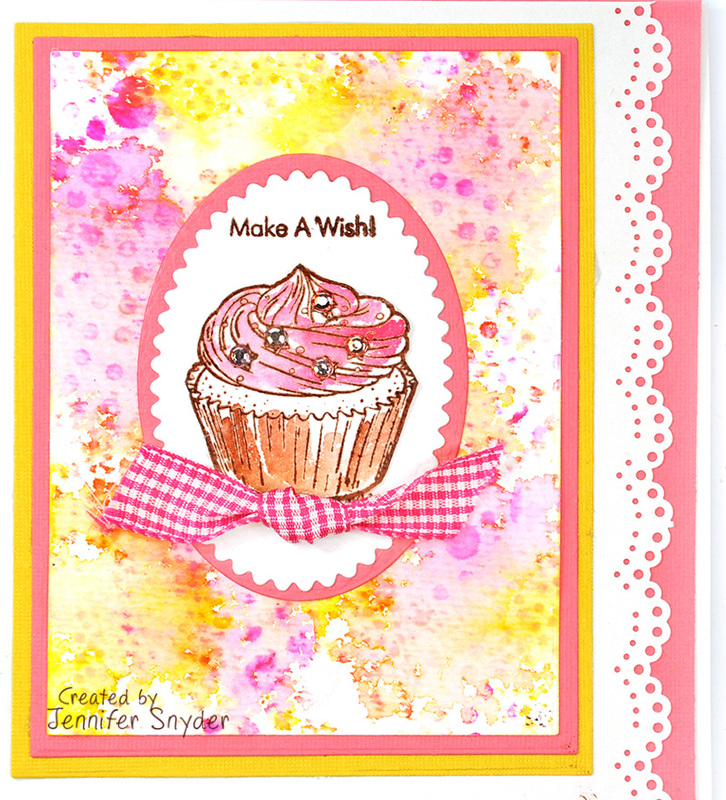 Yes, it is true the background on my card was created using the Confetti Background stamp shown above. 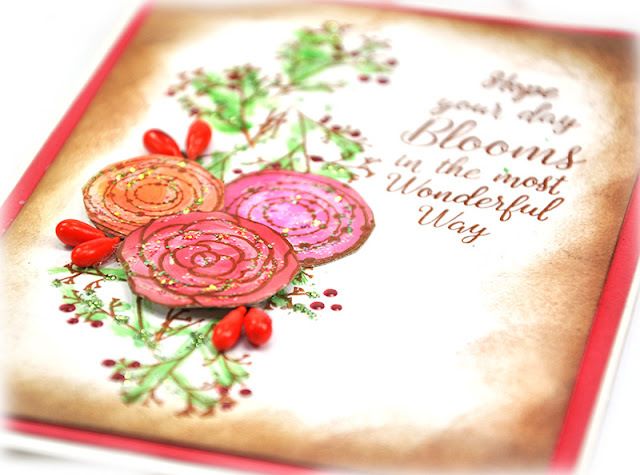 I used watercolor paper and spritzed with water to help make my dotted watery background. I also used the heat gun to dry it faster. I am impatient and tend to try and move things along. And the gingham ribbon is the perfect topper. 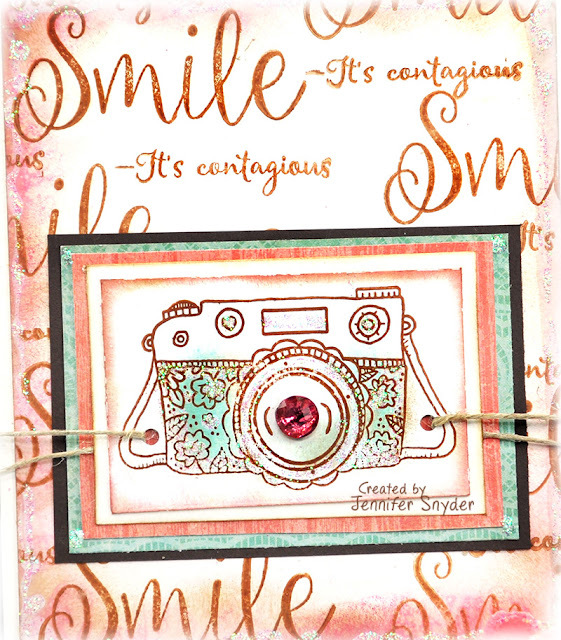 Howdy - I'm here today to share some totally contagious stamps from JustRite Papercrafts. 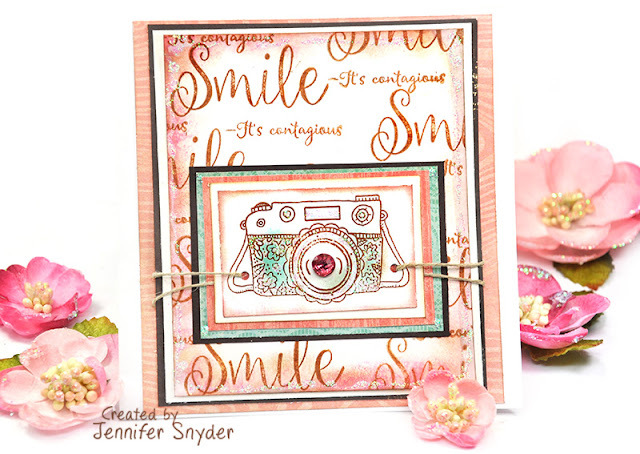 This is a new clear stamp set from JustRite called "A Smile is Contagious". 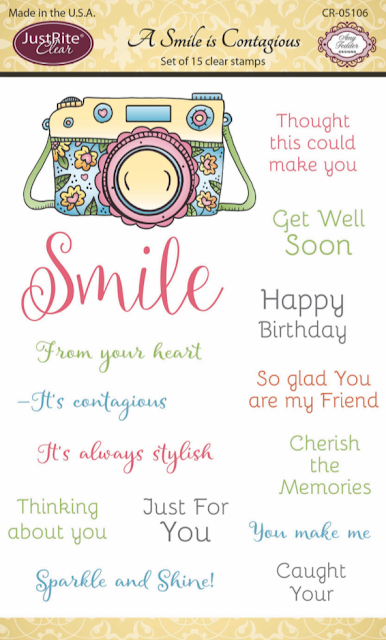 Complete with sweet sentiments and a darling camera image. 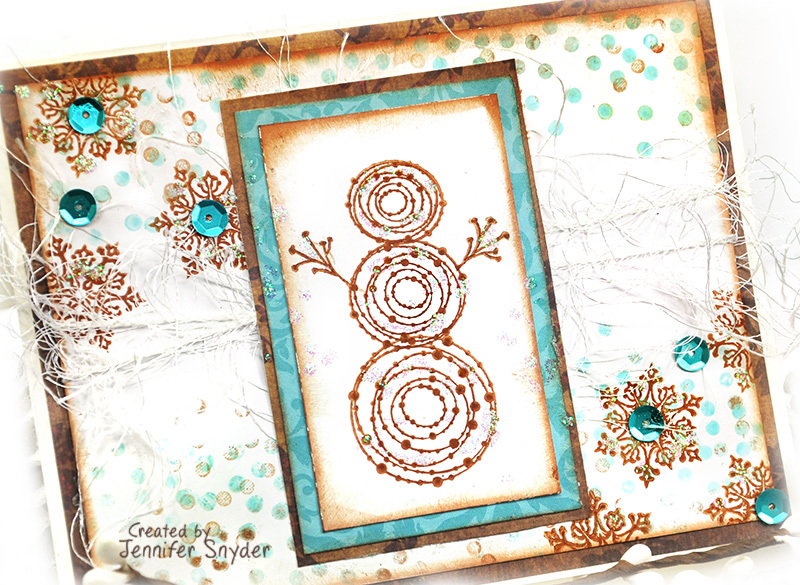 I wanted to show how cool this set is when used as a background stamp set. The "smile" stamp is pretty large and is perfect for doubling as the main sentiment or a cool background. And here is a close up of the fun camera image. I didn't add much color because it didn't need it and that's not really my area of expertise so I am perfectly fine adding a blush of color with Distress Inks. Here is my second sample using the same stamp set JustRite called "A Smile is Contagious". Thanks for stopping here. 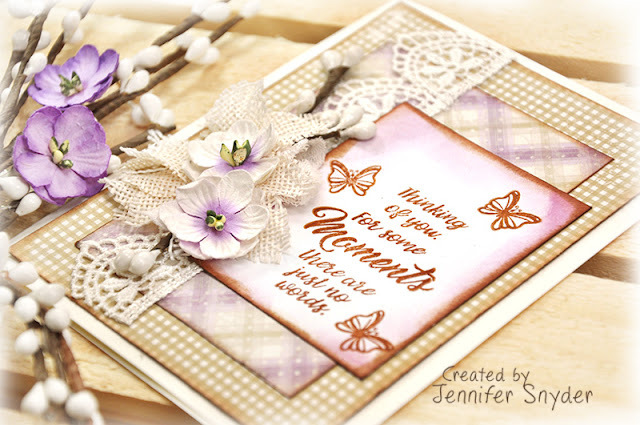 Enjoy your day and happy crafting. I say let the snowflakes come! bring'em on. But only in the form of paper please. 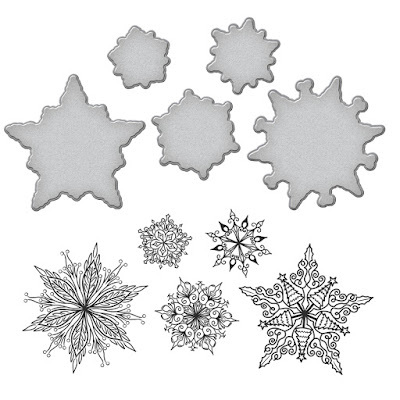 I only want paper snow at my house. I'd gladly substitute glue for a shovel. The best way to play with snowflakes is by grabbing the new Spellbinders Snowflakes Holidays 2017 by Stephanie Low -Stamp & Die Set - and getting to work using Maja Design's Denim & Friends collection. I created the card to play along with the Maja Design Mood Board for the month of September. Yes the Mood Board image invites you to think Summer but that's merely a suggestion. My inspiration was taken from the colors. You can play along and enter your creation right here. I layered by snowflakes on my card. I thought they looked lovely that way. The key to using the stamp & die set is to definitely stamp first. 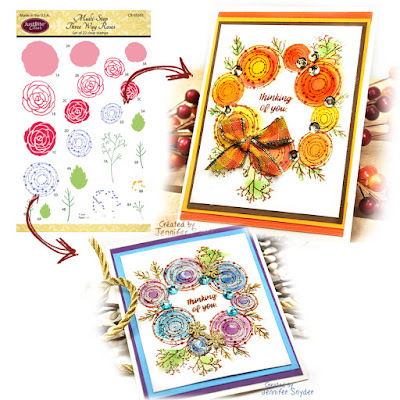 This provides an easier platform for making sure your die cut is securely in place. you can even tack down with tape if you want. Hey - that's just my opinion. Feel free to experiment with your own style. 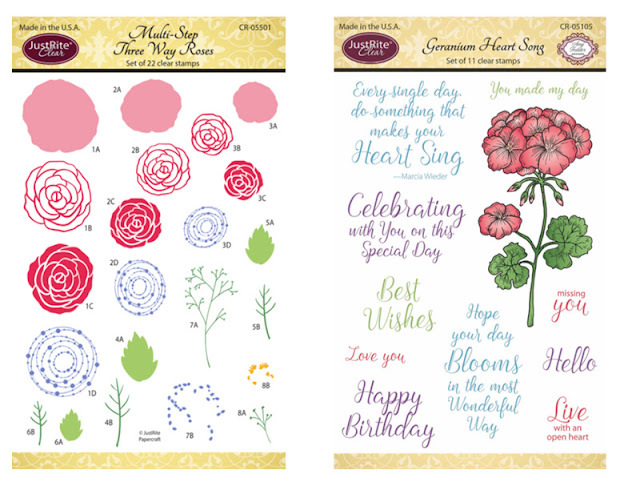 I prefer a nice crisp stamped image and your choice of ink does have an impact on the final image quality. I used Tsunkineko - Memento Ink- Rich Cocoa because it has a warm richness with great clarity when stamped. Distress Inks will not provide as sharp an image as you may desire. I used some white eyelash yarn as my fun wintery trim. 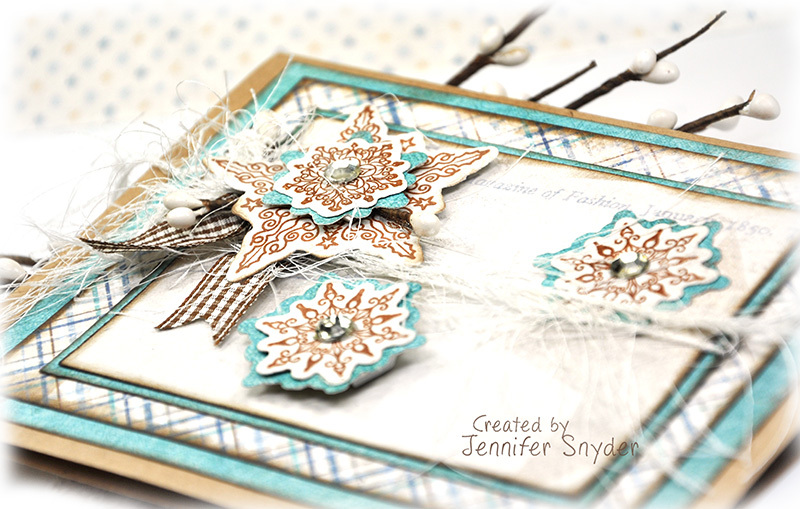 I also added dimension to a snowflake by backing with foam tape.